Taylor Swift net worth: Taylor Swift is an American singer and songwriter who has a net worth of $400 million. Between June 2016 and June 2017, Taylor earned around $50 million. There have been several years where Swift has made more than $150 million off album sales, touring, merchandise and endorsements. Born in Wyomissing, Pennsylvania, Swift and her family relocated outside Nashville, Tennessee when Swift showed keen interest in pursuing a career in country-pop music. A year after signing with Big Machine Records, Swift released her first single "Tim McGraw", which preceded her first self-titled studio album release. 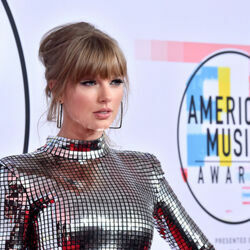 Taylor Swift reached the number five position on the US Billboard 200, but obtained the number one spot on the US Country Music chart. The album produced two number one hit singles "Our Song" and "Should've Said No". To date, her first album has been certified platinum more than four times by the RIAA. Swift's second album, Fearless, peaked at number one on the US Billboard, US Country, New Zealand and Canadian music charts. It has been certified platinum in four countries, six times in the USA alone, and also produced two number one singles "Love Story" and "You Belong with Me". She has performed with music artists such as John Mayer, Justin Bieber and Faith Hill. Among Swift's many accolades are eight American Music Awards, eight Grammy Awards, and six CMT Music Awards. Swift has made several television and film appearances, both as herself on Saturday Night Live and Dateline NBC and in fictionalized roles on shows like Valentines Day, CSI: Crime Scene Investigation and Hannah Montana: the Movie. Additionally, Swift has appeared in many popular publications including Seventeen, Teen Vogue, Rolling Stones and she is the current image of L.E.I. Jeans.